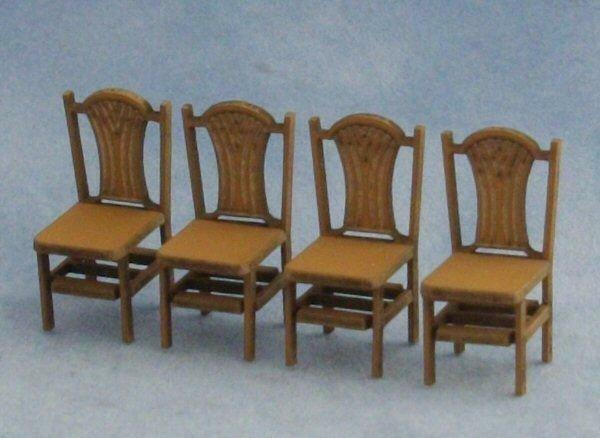 Miniature kit for four sheaf back chairs. Could be used in the house or in a miniature cafe or pub. Kit is made from card and pre painted as shown in the picture. Kit can be left as it is or you can paint to suit your requirements. 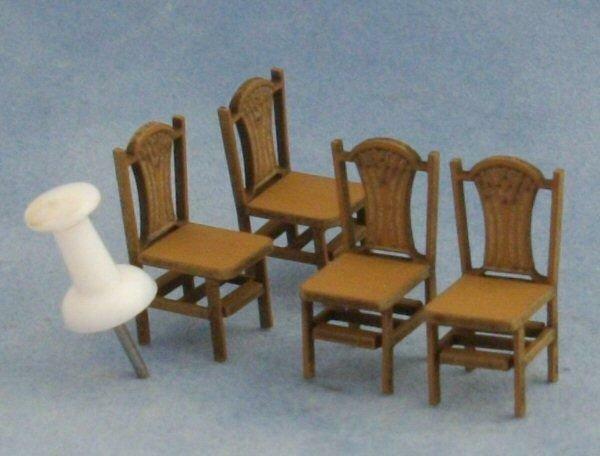 Lots of designs of chairs and tables available. Measures 20mm tall x 11mm wide x 11mm deep. I'm painting up some of these new kits and when I'm done I will add some pictures and some help tips to my blog.